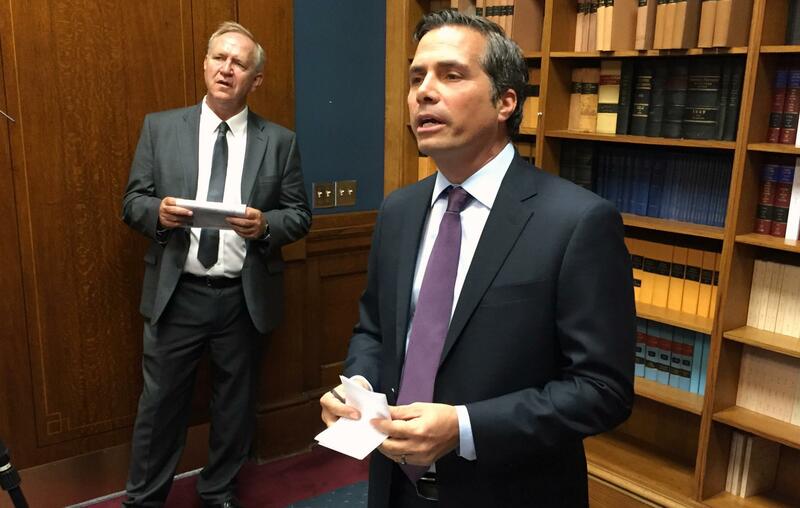 Independent candidate Greg Orman with his running mate, state Sen. John Doll. Of the three leading candidates in the race for Kansas governor, polls suggest Greg Orman is the least likely to win. Recent surveys show the independent in single digits — well behind Republican Kris Kobach and Democrat Laura Kelly, who are virtually tied. Orman is the wildcard in the race, the x-factor, a potential spoiler who probably can’t win, but who could still determine the outcome. That’s according to just about everyone watching, from political scientists to former Gov. Bill Graves, one of several Republicans who have jumped the aisle to endorse Kelly. “I don't see the scenario,” Graves says, “where an independent is going to be elected governor of the state." Orman, not surprisingly, doesn’t see it that way. The Olathe businessman got into the race believing that the conventional wisdom about independent candidates was just wrong — particularly at this moment in our political history. “I think what we're seeing in partisanship today is not necessarily loyalty to our own party so much as it is a hatred of the other party,” he says. “I think that's what our candidacy is about. We're trying to appeal to a broad cross-section of Kansans, Democrats, Republicans and independents. Orman isn’t the only one arguing that the current system is broken: Rick Kloos, a self-described “frustrated Republican,” is also running as an independent; Jeff Caldwell is on the ballot as the nominee of the Libertarian Party. Unlike Kloos and Caldwell, Orman is seen as a legitimate contender, likely because of the momentum he gained in 2014 during a close, but unsuccessful, Senate bid many thought he would win against incumbent Republican Pat Roberts. But it’s not 2014 anymore. 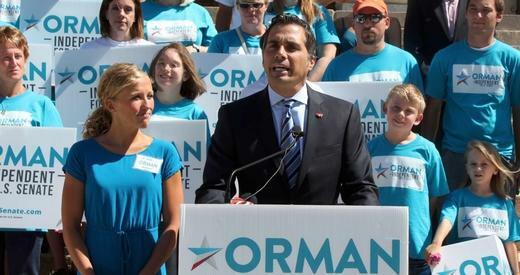 Orman may understand that he has no clear path to victory in the race for governor. But he says he’s going to continue campaigning right through Election Day — and that might be a concern Kelly, but good news for Kobach. The podcast is written and reported by Jim McLean, edited by Amy Jeffries, and mixed by Matthew Long-Middleton. The production team includes Beth Golay, Nadya Faulx, Scott Canon and Grace Lotz. Primary Color Music composed our theme. This episode includes clips from MSNBC, CNN, and, our favorite, C-SPAN. Special thanks to Neal Carruth of NPR and the NPR Training team. If you liked this episode, subscribe, and leave us a review on iTunes. It helps other people find our podcast. You can follow us on Facebook and Twitter.